Unlike the original Pixhawk 1, which had its ESC Signal and Servo Connections on the FC itself, the Pixhawk 4 doesn't so the PM07 Power Board is required. 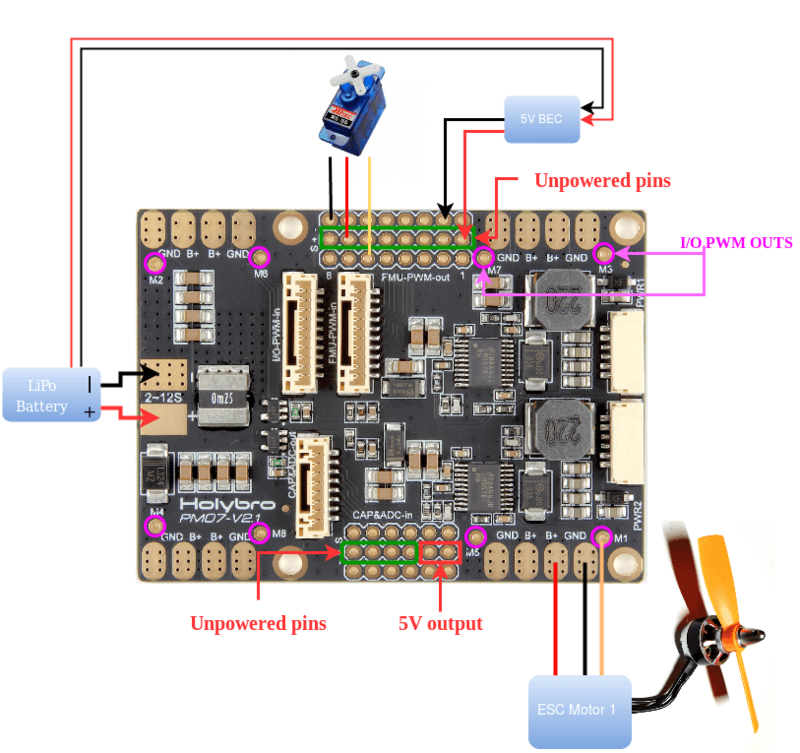 The PM07 Power Management Board (PM Board) serves the purpose of a Power Module as well as a Power Distribution Board for the Pixhawk 4 FC. 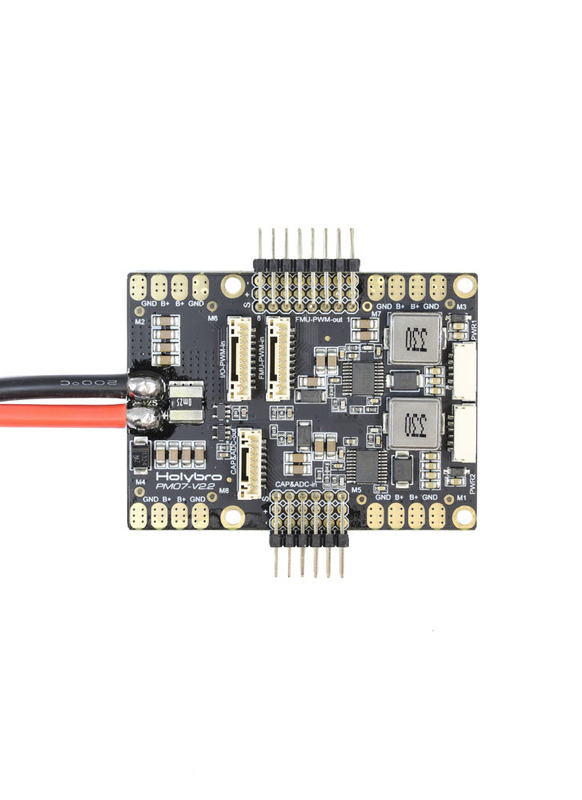 In addition to providing regulated power to Pixhawk 4 and the ESCs, it sends information to the autopilot about battery voltage and current draw. The PM07 is compatible with 2-12S LiPo and is rated at 120amps.